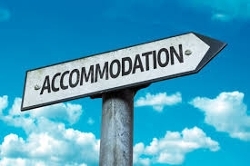 A recent Eighth Circuit Court of Appeals case advises employers that employees need not explicitly request accommodation. In the case before it, Robert Kowitz suffered from spinal stenosis, which is a degenerative disease of the spine. After undergoing surgery, she returned to her work for Trinity Health as a respiratory therapist. Ms. Kowitz came back to work with certain restrictions, and Trinity Health accommodated those restrictions. Just one month after her return, Trinity asked that all of its respiratory therapists update their basic life support certifications. Updating the certification required both a written exam and physical demonstration of CPR. While Ms. Kowitz was able to pass the written part of the exam, she was unable to complete the physical portion until she completed four months of physical therapy (as instructed by her doctor). Trinity Health fired Ms. Kowitz immediately because she could not complete an essential function of her job, which was to perform basic life support. Although Ms. Kowitz did not expressly ask for reasonable accommodation with respect to her inability to complete CPR, the appellate court found that she had given sufficient information to put the employer on notice. The fact that she would not be able to get certified in CPR until completing her physical therapy “implied that an accommodation would be required until then.” Trinity Health knew of her condition, her other restrictions, and she had referenced her surgery and ongoing pain in her communications with them. Thus, there was sufficient information for Trinity Health to understand that these communications were a request for accommodation.